Today in Masonic History Julius Caesar Burrows passes away in 1915. Julius Caesar Burrows was an American politician. Burrows was born on January 9th, 1837 in North East, Erie County, Pennsylvania. At a young age his family moved to Ohio. There he attended local schools. He also attended the Kingsville Academy and Grand River Academy a private boarding school. He went on to study law and was admitted to the bar in 1859. In 1860 he moved to Richland, Michigan where he became the principal of Richland Seminary. In 1861 he began a law practice Kalamazoo, Michigan. In 1862, Burrows raised an infantry company. He was the captain of the company for a year. Between 1863 and 1872, Burrows held various elected and appointed government positions. In 1872, Burrows was elected for the first time to the United States House of Representatives. He served, with various breaks from 1873 until 1895. His breaks in service in the House of Representatives came in 1875 and 1883. 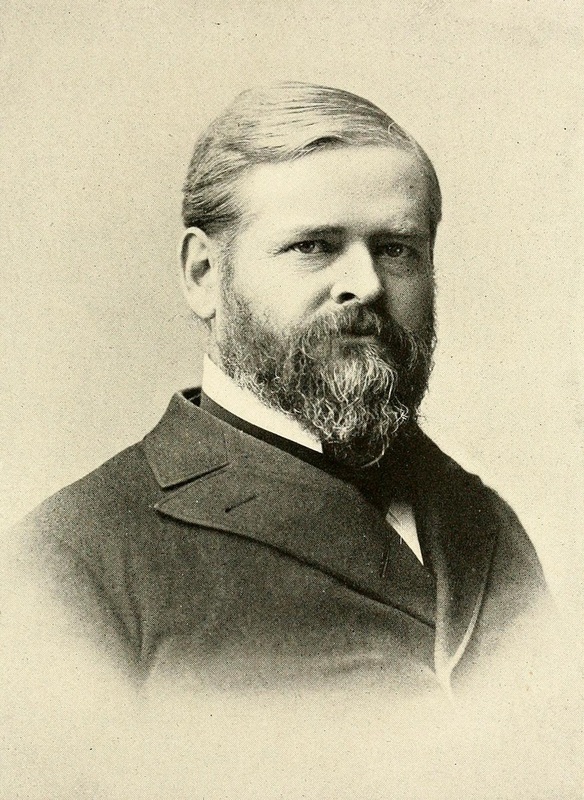 In 1895, Burrows was elected to fill a vacated United States Senate seat. He was successfully reelected to a full term in 1899 and served two additional full terms. Burrows is sometimes blamed as the cause of New Mexico not achieving statehood. During a debate Burrows, considered a great orator, gave an impassioned speech in favor of a Civil Rights bill to protect freed slaves. As he was finishing the speech the Representative to Congress from the New Mexico Territory entered the chamber and when Burrows finished the New Mexico representative vigorously shook Burrows hand, not knowing what the previous portions of the speech were about. This was viewed by many southern state Representatives as support for the Civil Rights bill. This, allegedly, cost New Mexico several votes for it's statehood. When Burrows returned to Michigan, he retired from all public life and personal business endeavors. He passed away on November 16th, 1915. Burrows was a member of Anchor Lodge of Strict Observance No. 87, Kalamazoo, Michigan. He was also a member of Kalamazoo Chapter No. 13, Royal Arch Masons and Peninsular Commandery No. 8, Knights Templar.